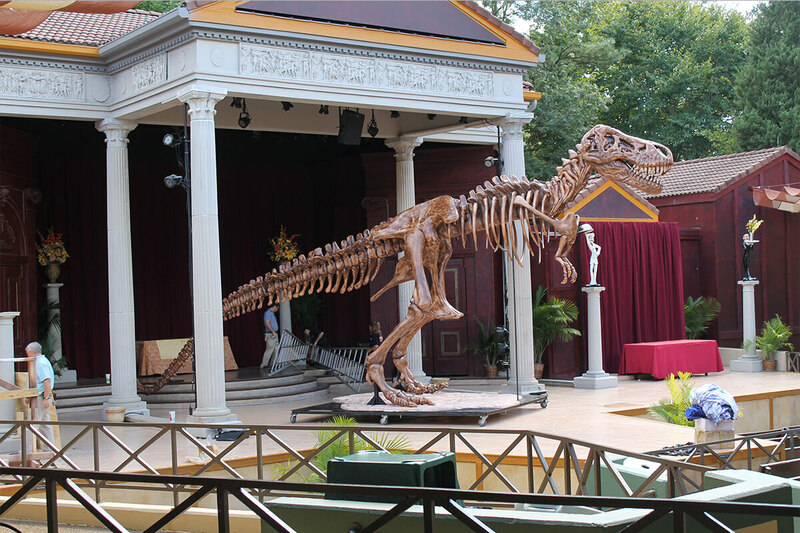 Little Spider Creations hand sculpted a to-scale replica of a T-Rex for Busch Gardens for one of their theatrical shows in their theme park. 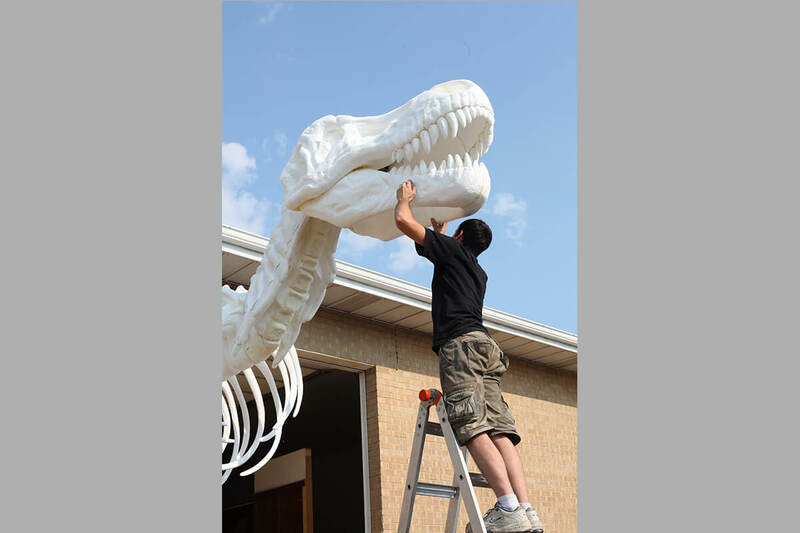 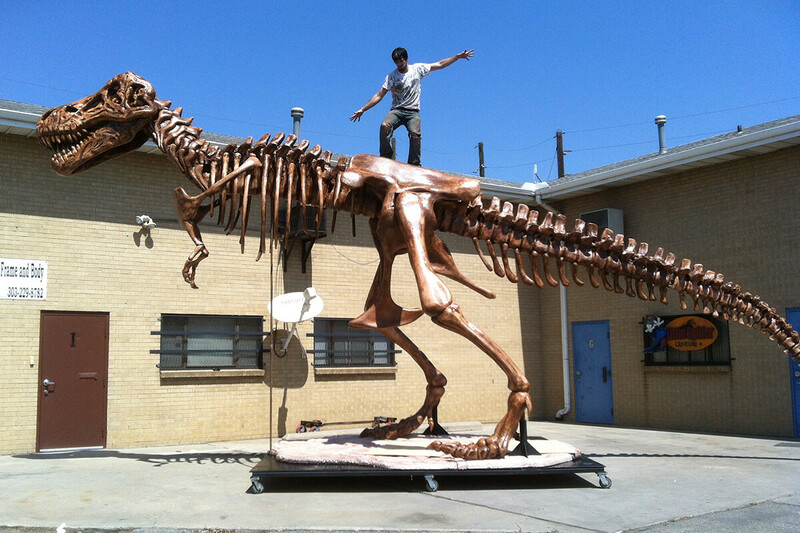 Little Spider Creations created a one of a kind replica of a T-Rex for Busch Gardens in VA. 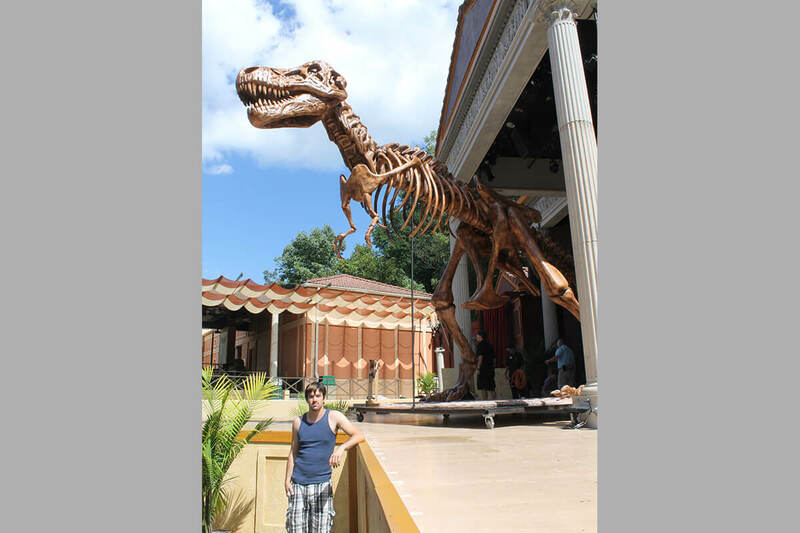 This was for a theatrical version of Night At The Museum where this beauty was rolled out during the show. 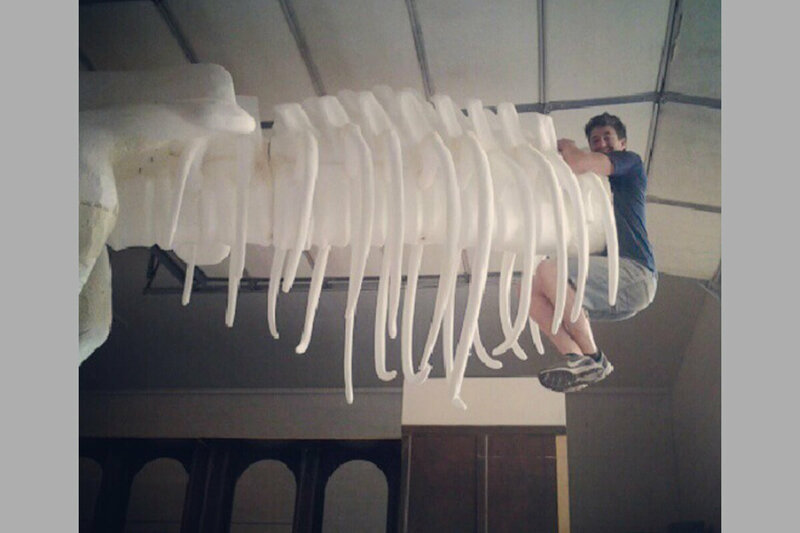 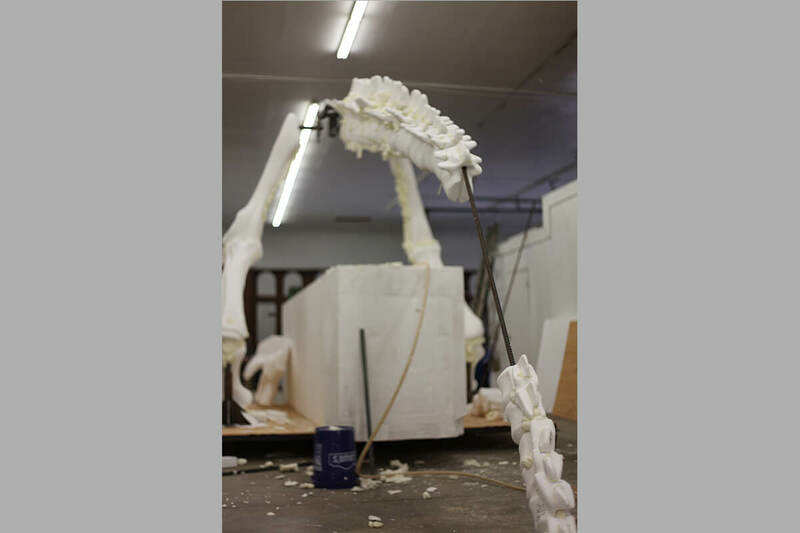 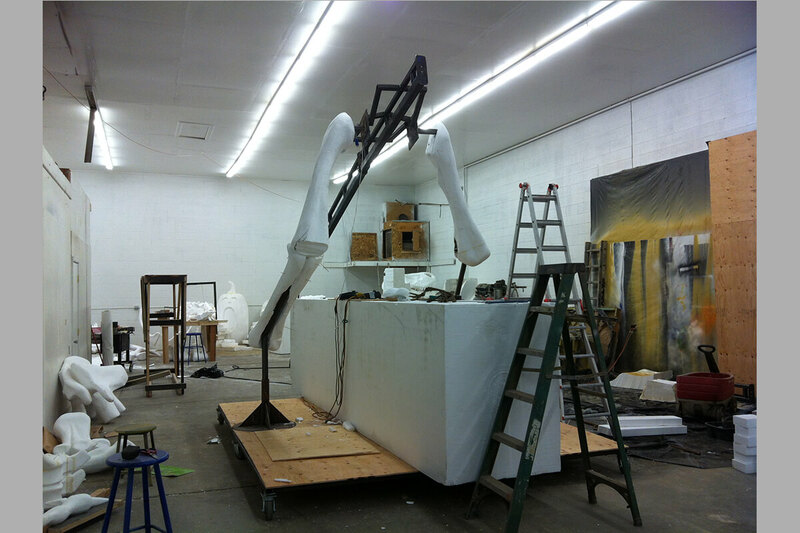 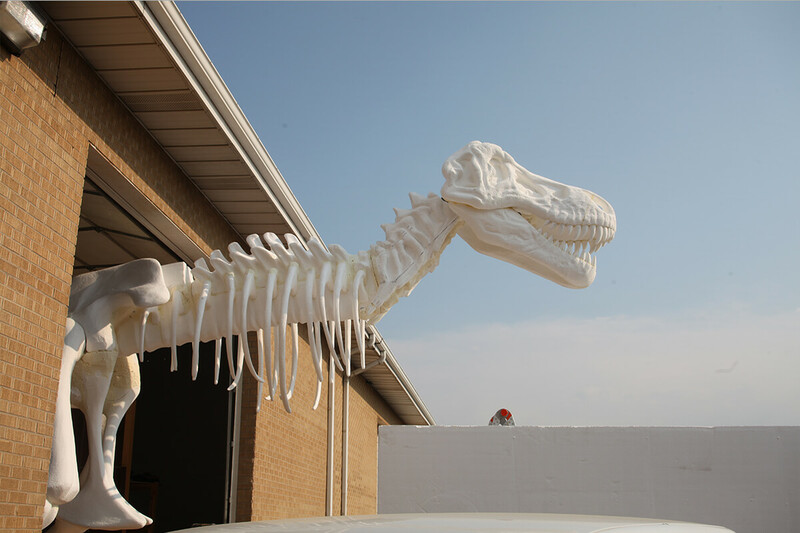 We used a large format steel framing for the skeleton (pun intended) and sculpted the rest out of EPS foam for the skeleton bones.